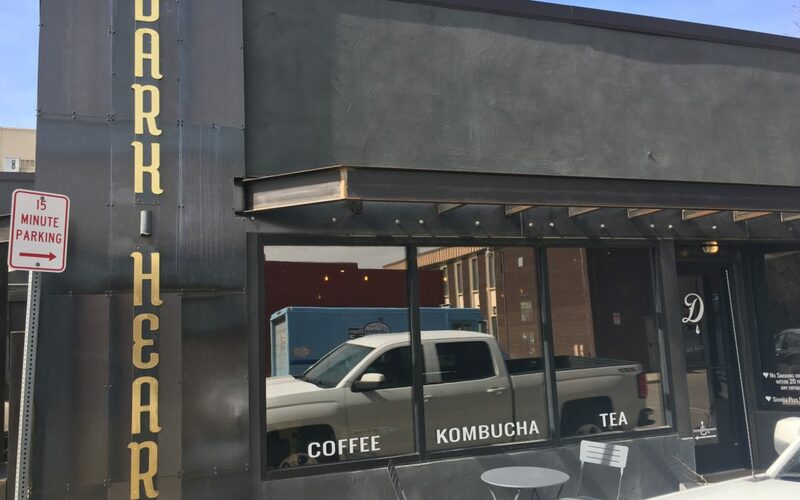 Dark Heart is where it’s at for a MOD Bar in Loveland CO. A MOD Bar is an espresso bar that has only the group head and steam wand above the bar, the rest of the machine is down below and out of sight. 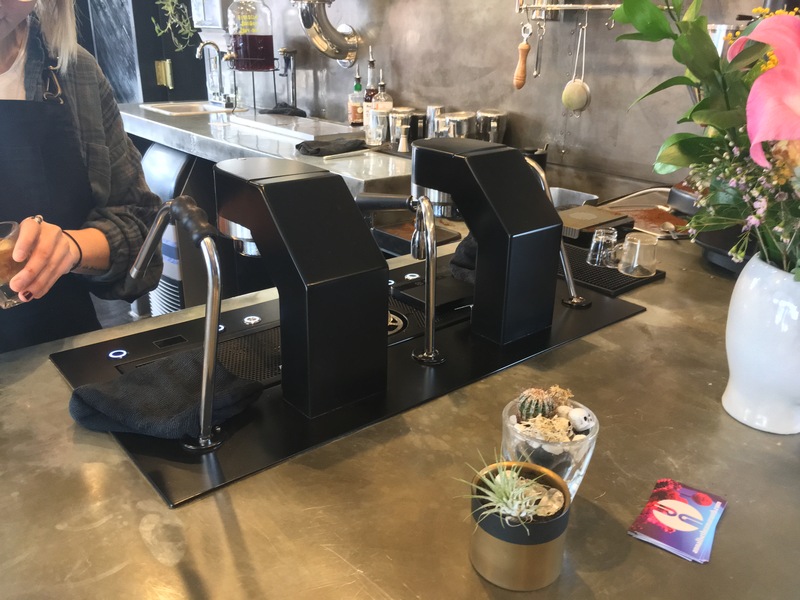 A MOD Bar is not like your typical espresso machine, it is all solid-state relays and computers that are put into modules to go under the counter of a coffee bar. It is very modern and frees up counter space. 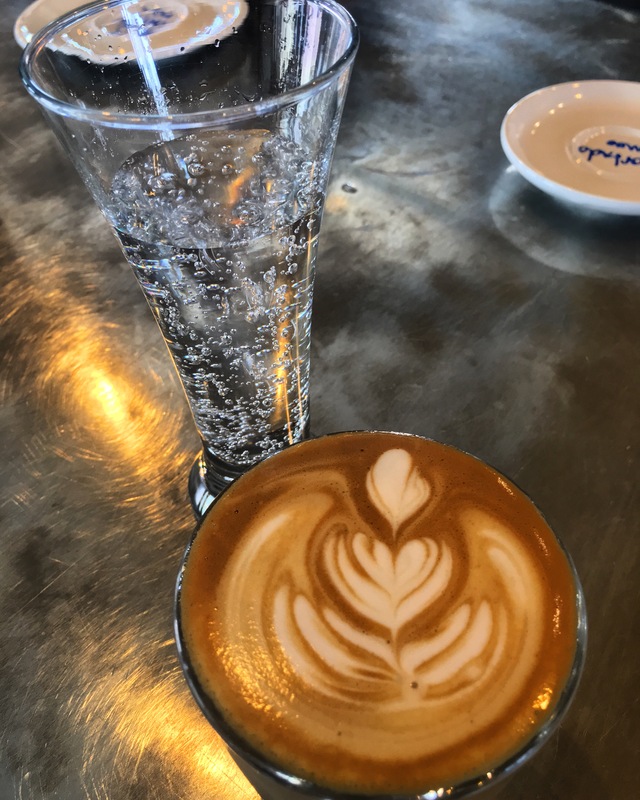 Dark Heart is a recent addition to Loveland, CO coffee culture, they have been open for less than 5 years, but they have an ardent following of customers from all over Loveland. Dark Heart’s shop is very airy, and with loads of natural lighting. The lobby is spacious, and the background noise is at a low level, so you feel inclined to drink your coffee and or espresso and hangout or get some paper work done. 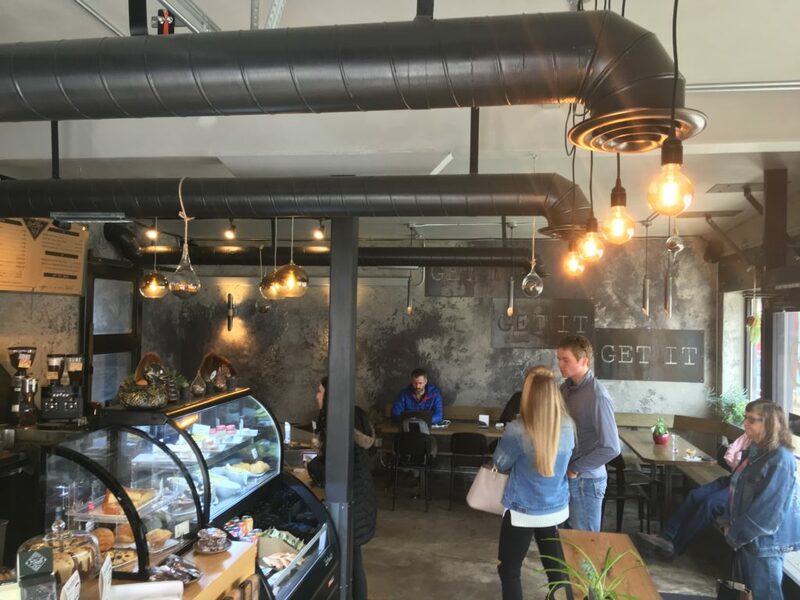 The walls are painted black and there is lots of metal, dark wood and exposed concrete, giving the overall look of an industrial workspace. I quite like it. The lobby at Dark Heart. The espresso drink I had was expertly done and was very delicious. Dark Heart’s espresso and coffee is from Couva Coffee out of Portland OR. I really enjoyed my espresso, Couva should be very proud of how Dark Heart pours and represents their coffee. The baristas were very knowledgeable about the coffee and have tasted all the coffee and espresso that they serve. As I was making my choice as to what kind of coffee I was going to bring home, I was able to have a discussion with them on what kind of coffee to get and what was their favorite, in a coffee geeks way. Overall, I say Dark Heart is well worth going to and treating yourself to an espresso drink or a cup of coffee. Dark Heart is something new and different for Loveland, something with a lot of promise.